Deadpool Champions Wonder Woman Success and Her Strong B.O. Deadpool may be a bit on the filthy side, but never let it be said that he won't do the classy thing when the time is right. Wonder Woman is currently having a tremendous run at the box office and, over the weekend, the movie actually managed to surpass Deadpool at the domestic box office. Instead of being snarky about it, the Merc With a Mouth decided to congratulate the Wonder Woman team for their accomplishment. But there was definitely some Wade Wilson flavor in there. As of this writing, Wonder Woman has made $368.4 million at the domestic box office. That makes it the highest-grossing DCEU movie domestically and puts it ahead of Deadpool's $363 million domestic total from last year. That is a pretty impressive accomplishment. 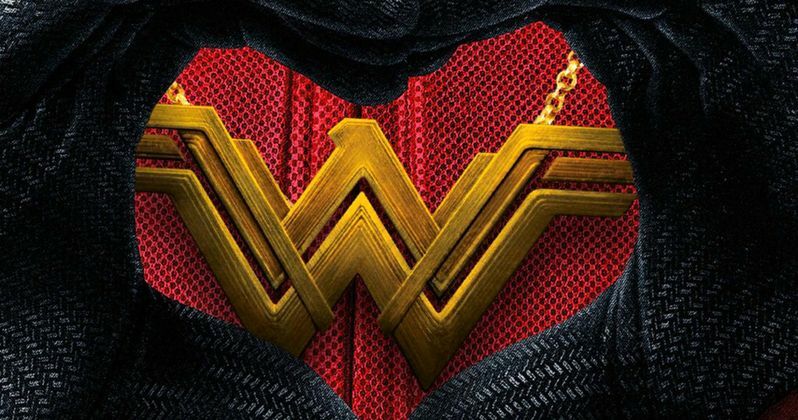 The official Deadpool movie Twitter account commemorated the milestone with a picture of Deadpool sporting a Wonder Woman gold chain and a little congratulatory message that was appropriate, considering who the message is coming from. "The Merc may be filthier, but her B.O. is stronger. Congrats #WonderWoman"
Wonder Woman has very strong B.O. indeed. The movie is absolutely crushing it worldwide as well. As of today, the movie has passed Suicide Squad to become the second highest-grossing movie in the DCEU overall, trailing only Batman V Superman: Dawn of Justice. The movie has now brought in just shy of $750 million total. The movie has blown past all expectations and much of that success is owed to director Patty Jenkins. She decided to show her appreciation for the acknowledgement from Deadpool, sending some praise back in their direction as well. "You are the absolute greatest, Ryan Reynolds @VancityReynolds Thank you! We love you and your movie too. #deadpool #deadpool2"
Ryan Reynolds is currently busy filming Deadpool 2 and, given how popular the first movie was, Wade Wilson could once again reign supreme once the sequel arrives on June 1, 2018. Warner Bros. is already planning Wonder Woman 2 as well, even though it hasn't formally been announced. New rumors suggest the movie could be taking place in the 1980s at the end of the Cold War, making it another pre Batman V Superman: Dawn of Justice adventure. This could wind up being a nice little, friendly rivalry within the world of superhero movies. It seems appropriate, considering that both were very groundbreaking. Deadpool for being R-rated and Wonder Woman for being a female-led and directed superhero movie. Deadpool still has Wonder Woman beat worldwide with $783.1 million, but that could change before it's all said and done. Either way, this was a classy move from Deadpool's camp. It's nice to think all of these creators respect one another this way. Especially when so many imagine that Fox and Marvel Studios have some ugly behind-the-scenes rivalry going on. You can check out the Twitter exchange for yourself below.